My blog is running on a self-hosted WordPress instance, and I have an Android phone. I also do some long commutes, so it would be quite sensible, to use the WordPress for Android for blogging. Better yet, why use my laptop at all just to write an article, when I can simply hook my bluetooth keyboard, that only gathers dust anyways, and use that for blogging. The application has a number of features, that are quite well designed and convenient, but there are some glitches and inconviniences, that prevent me from doing so. I love the way the statistics are integrated in the client. It’s quite useful and detailed, and are hosted on the WordPress.com thanks to the built-in integration add-on. I’ve installed so many statistics collection (webalizer, analog, awstats,…) over the years, and it was always a struggle, to keep the stats private, up-to-date all the time. It’s one more component I don’t have to worry about, so I put up with the privacy concern of letting WordPress look at the statistics from the feeble number of visitors on my site. To publish an article, I have to do lots of post-processing. Links are quite difficult to add in the application, images are seriously difficult to deal with. I can’t even set the base image of the post, and since, that’s the image used in the social media publishing, it’s quite a major inconvinience to do so. 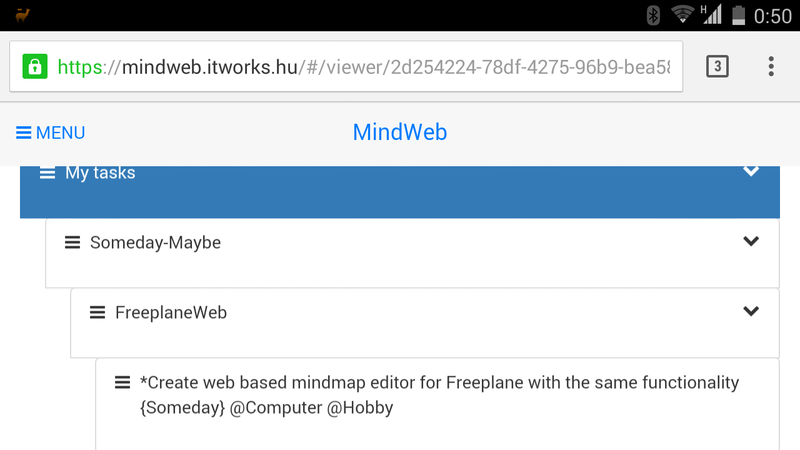 The Android app doesn’t expose the SEO plugin, that I use for publicising my posts, so the social tags must be added later. As the whole point of the application is writing, it would make sense, to support hardware keyboard, and I’m actually typing on my wireless keyboard right now. There is just no way to navigate the application with keyboard, tab orders are not set, the buttons cannot be pressed from the keyboard. You must keep swiping the touch screen to get anything started. It’s all fine, as soon as you start to type in the editor pane, but becomes hell, just as soon as I want to edit my previously written text. Navigating in the editor is also quite undeterministic, sometimes the navigation keys take me to quite unexpected places. The right arrow, behaves quite erraticaly, as it seems to change the panes somehow, and it takes blind stabs in the dark with the Tab key and the arrows to return to the editor pane. There is no way to delete words, that I’m used to in the PC world, and that’s a feature I’m quite used to. Formatting keys just don’t work from the keyboard, the standard Ctrl-B, Ctrl-I, Ctrl-U, formatting shortcuts and Ctrl-K for adding links would make the experience much better. The seriously bad I’ve left to the end. There is no undo! Once you mistakenly press Alt-Backspace, your entire paragraph is just gone. This happened to me quite a few times during typing this article, unintentionally. I was not very happy about it. There are basic problems with the hardware as well. The keyboard I have is designed for Apple products, and the layout is quite fishy. It has no escape or menu key, so it takes some poking at the display to get things done. To conclude, I feel this application deserves a bit more attention, to be really useful for those, who actually intend to use it.